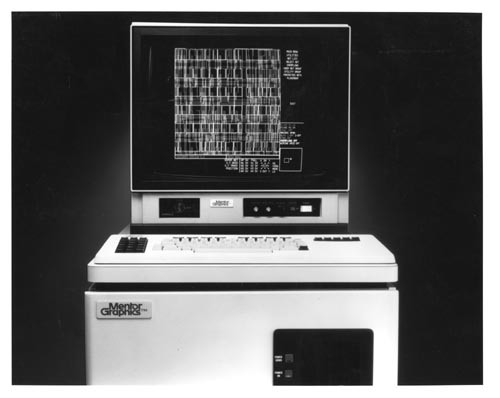 B&W Image of a Mentor Graphics system. I has the display screen and keyboard on top of the electroncis cabinet. On the screen is displayed a complicated pattern of lines.